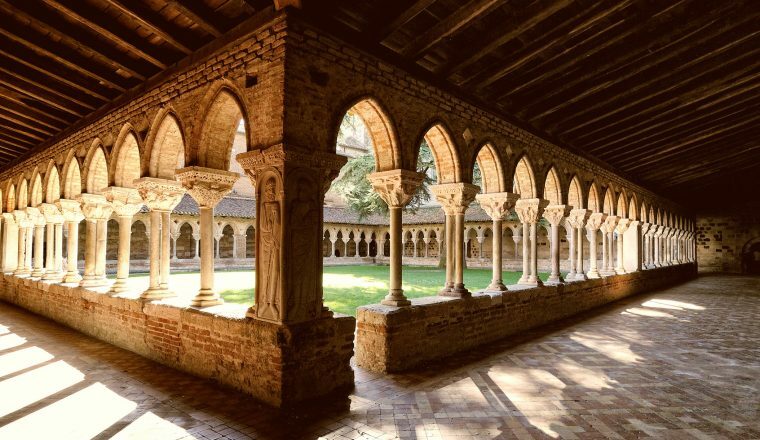 This thirty-seven night walking holiday takes you along the entire French section of the Way of St. James – one of the most famous pilgrimage routes in all of Christianity. 37 nights accommodation with breakfast and dinner each day, luggage moved from hotel to hotel. Maps and route notes are provided as well as back up if needed. 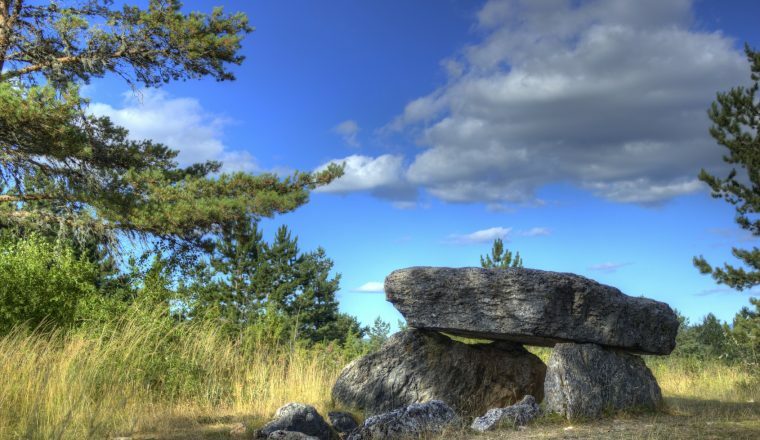 Day 7: Nasbinals – St Chely d’Aubrac 17 km/10.65 miles. Day 10: Estaing – Espeyrac, 25 km/15.6 miles. Day 11: Espeyrac – Conques, 13 km/8.1 miles. Day 12: Conques – Decazeville, 20 km/12.5 miles. 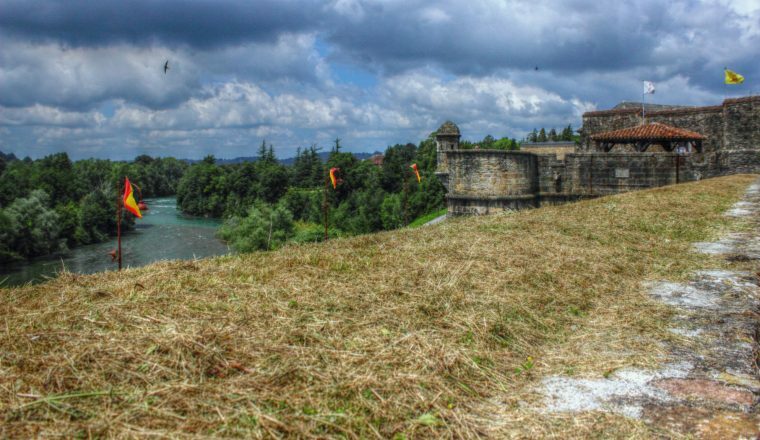 Day 13: Decazeville – Figeac, 29 km/18.1 miles. 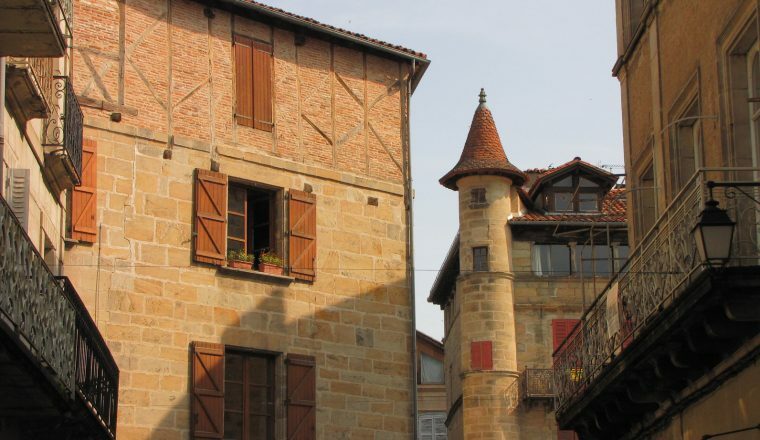 Day 14: Figeac – Cajarc, 30 km/18.7 miles. Day 15: Cajarc – Limogne, 18 km/11.25 miles. Altitude atarrival: 300m/990ft. 4 hours 15. Day 16: Limogne – Lalbenque, 24 km/15 miles. Day 17: Lalbenque – Cahors, 21 km/13.1 miles. Day 18: Cahors – Montcuq, 31 km/19.4 miles. Day 19: Montcuq – Durfort Lacapelette, 25.7 km/16 miles. Day 20: Durfort – Moissac, 14 km/8.75 miles. Day 21: Moissac – Auvillar, 19.2 km/12 miles. Altitude at departure: 76m/251 ft.
Our route today follows the canal towpath for the most part – a relaxing, tranquil day (unless you decide to take the higher path along the slopes above). Cross the bridge at Pommevic and head south to Auvillar.Altitude at arrival: 108m/356ft.19.2 kms/12 miles. 4 hours 45.Day 22: Auvillar – Lectoure, 33.1 km/20.7 miles.Altitude at departure: 108m/356ft. 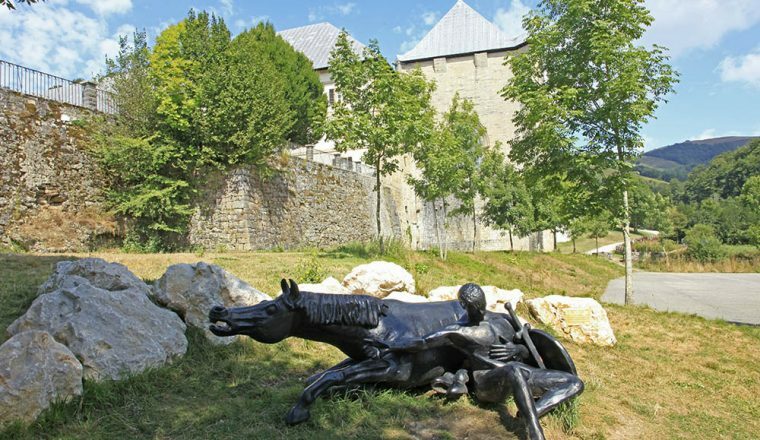 Soon we enter the Gers – pass Flamarens and its old castle, followed by Miradoux, the oldest bastide in the Gers, before reaching Castet Arrouy, where you have a choice of routes – the more direct route or the old route via Avit Frandat (191m/630ft). Day 22: Auvillar – Lectoure, 33.1 km/20.7 miles. Soon we enter the Gers – pass Flamarens and its old castle, followed by Miradoux, the oldest bastide in the Gers, before reaching Castet Arrouy, where you have a choice of routes – the more direct route or the old route via Avit Frandat (191m/630ft). Day 23: Lectoure – La Romieu, 19 km/11.9 miles. Day 24: La Romieu – Condom, 16 km/10 miles. Day 25: Condom – Montreal du Gers, 16.3 km/10.2 miles. Day 26: Montreal du Gers – Eauze, 16.3 km/10.2 miles. Day 27: Eauze – Nogaro, 20km/12.5 miles. Day 28: Nogaro – Aire-sur-Adour, 30 km/18.75miles. Day 38: End of the trip after breakfast. We book family run hotels – 2 and 3 star and guest houses, all rooms with private bathroom. Dinner and breakfast are included each day. 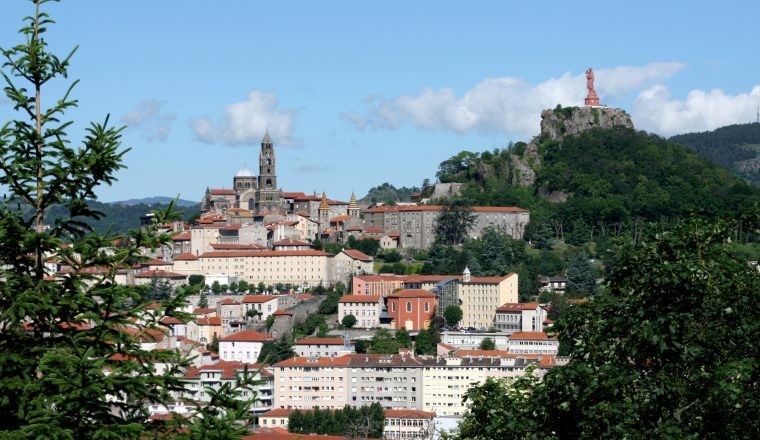 There is a train station in Le Puy with good connections to Lyon and Clemond Ferrand – and on to Paris. 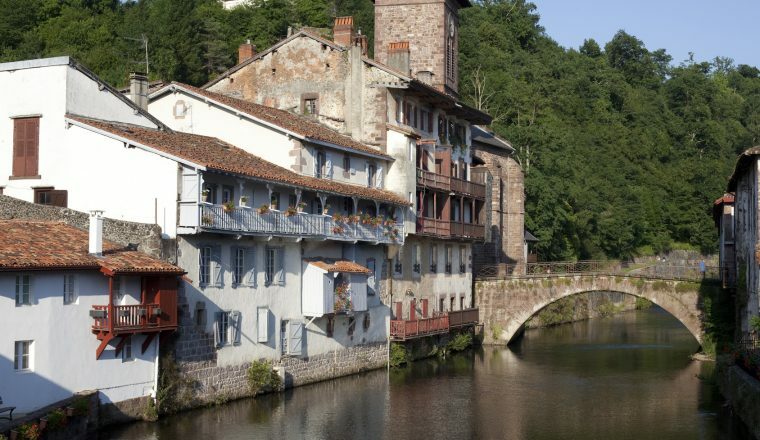 The walk finishs in St Jean Pied de Port. Nearest airport is Biarritz – bus from St Jean to the airport. 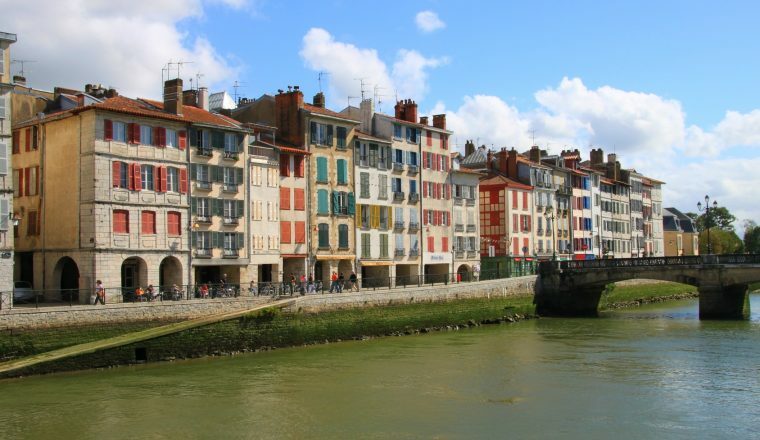 Or train to Bayonne and good connections throughout France.